In 2004, several residents of Berkeley Park contacted the Georgia Conservancy to assist the neighborhood as they were facing a number of critical planning issues, ranging from major transportation route changes to architectural design concerns. The residents realized they needed planning assistance if they were to maintain the neighborhood’s best qualities and address environmental concerns. The Georgia Conservancy and Berkeley Park Residents, with the support of Urban Design students from Georgia Tech, created a set of “blueprints” for the neighborhood as part of the Georgia Conservancy’s Blueprints for Successful Communities program. If you would like to read the resulting BluePrints for Berkeley Park, click below to view the entire PDF file. See projects that need to be completed, items that need fixed or have a vision for the neighborhood? List those ideas on the BPNA project work schedule. As members of the community we can work together for the betterment of the neighborhood one project at a time. List out the project, location, volunteer to be a project lead and suggest a time line. Members of community can view the schedule and offer up their assistance. Watch for updates in the monthly newsletter. In 2006, members of the Berkeley Park Neighborhood Association distributed a poll to the community in order to determine which neighborhood concerns were most important to the residents. The results showed that most residents wanted a park within the neighborhood. Former BPNA President, Ron Horgan, made a commitment to pursue the goals of the neighborhood and coordinate a plan to make this happen. A project on this scale requires a large amount of support and participation from the neighborhood residents, businesses, and the City of Atlanta. It also requires considerable financial support for land acquisition, development, and maintenance. The BPNA park committee has taken on the enormous task of planning this endeavor. If you are interested in being involved with this initiative, send a message to info@berkeleypark.org. As with any intown Atlanta neighborhood, residents need to be proactive in order to preserve the safety of their streets. 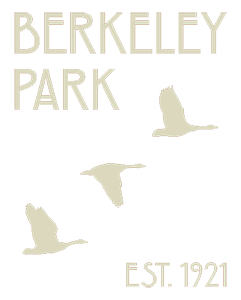 Berkeley Park has a traffic plan that began as part of the Blueprints plan in 2004 and has evolved into a detailed master plan for improving current traffic problems and providing pedestrian connectivity within and surrounding the neighborhood. A traffic impact study was completed, by A & R Engineering, Inc., in 2012, looking at traffic in our area and what additional traffic measures could be done for the community. If you would like to participate in this committee’s activities, please contact a BPNA board member. © 2014 Berkeley Park | Site Design + Photos.